If you are a permanent resident in Australia who is of good character and would like to continue being a part of this country for many years to come, then it might be time to consider citizenship. Acquiring Australian citizenship can seem like an intimidating process at first, but it is worth it if you have decided that you would like to make Australia your permanent home. 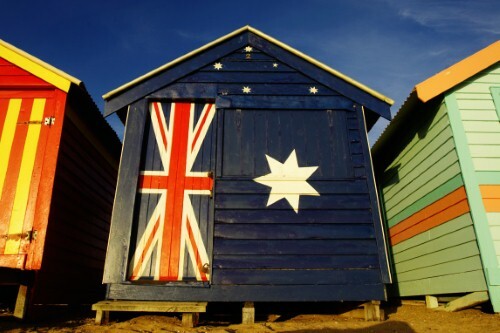 In order to become an Australian citizen, it is necessary that you meet the relevant residence requirement. This means that you will need to have lived in Australia or held a valid Australian visa for at least four years immediately prior to applying. You are also not allowed to have been out of the country for more than a year in total, or more than 90 days consecutively. Furthermore, you will need to have spent at least the last 12 months of your time in Australia as a permanent resident with a full permanent residency visa. If you meet all of these requirements then congratulations, you have passed the first hurdle, and it is now time to start studying the Australian citizenship resource book, which will contain all the necessary information you need to progress your application. You will also need to assemble a few important documents in order to prove your identity and character, to show that you are who you say you are and that you haven’t been convicted of any serious crimes. Next it’s time to complete and lodge your citizenship application form, which you can do online or by post. You will need to attach copies – either scanned or photocopied – of your identification documentation to this application. There will be a small fee of several hundred dollars which you will be required to pay in order to progress your application, although this does not apply to children under 16 who are applying with a parent. At this stage you will be invited to a two hour citizenship appointment, where an officer will review your application and conduct either an interview or, more likely, a citizenship test. The citizenship test is a basic examination on your knowledge of the English language, and the various responsibilities and privileges that come with being an Australian citizen. You will need to do a bit of study before sitting this test, and you are not allowed to bring any notes or resource material into the actual examination. The test will take around 45 minutes in total. The Department of Immigration and Citizenship provides a handy Australian citizenship test resource book titled Australian Citizenship: Our Common Bond that can help you with passing this test. The government will then take the time to review your results and your overall application, and you will be notified as to whether you have passed or failed your citizenship application. If you have passed, you will be invited to attend a special citizenship ceremony where you will take the official Australian Citizenship Pledge – this can often be an emotional experience for participants. At this stage you will officially become a citizen, and will be free to continue living in Australia. This entry was tagged Australian citizenship, Australian visa, citizenship, Permanent residency. Bookmark the permalink.